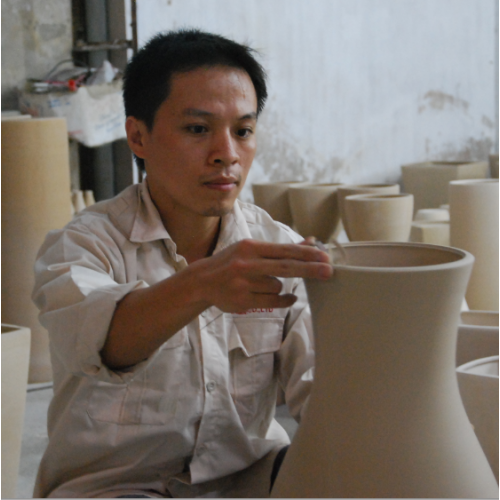 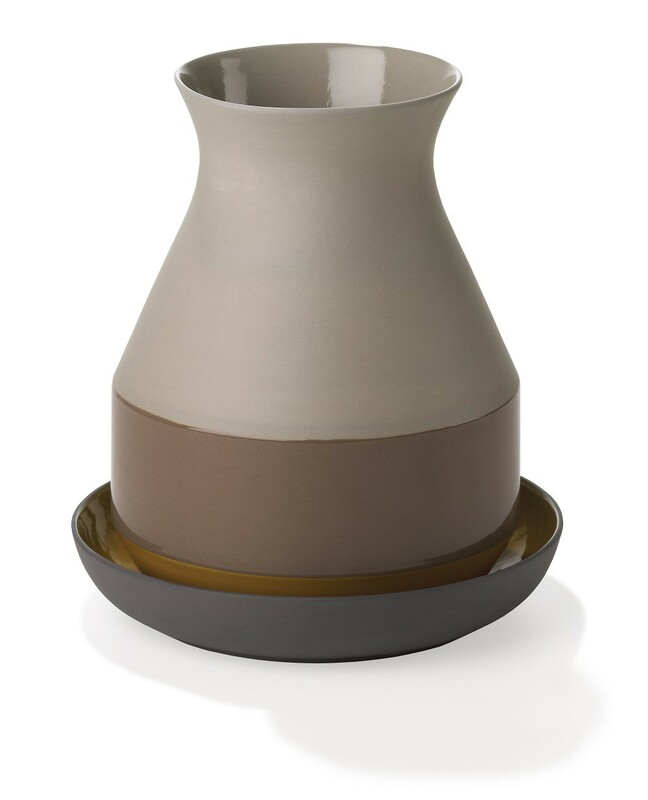 The Bat Trang vase medium is made of colored clay and is partly glazed. 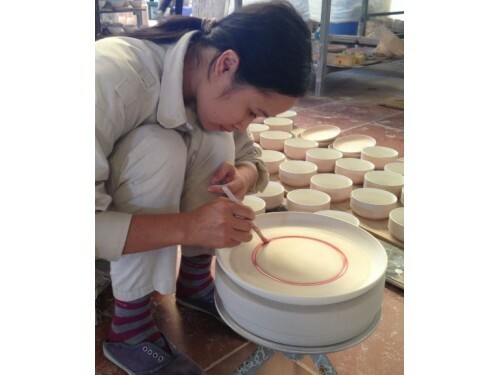 This gives the Bat Trang series an exotic touch. 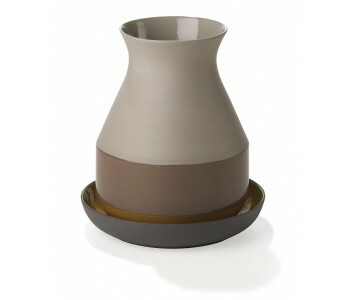 This vase is medium sized, but we also offersmall version.